How beautiful is the Sacred heart. It is Divine love in a human heart. In both life and death will never sever. The Sacred heart is our spiritual guide. In our heart and soul will always abide. In blessings and healings the Sacred heart will lead. In Divine reverence and obedience we will follow. The Sacred heart frees us all from distress and sorrow. There will always be a bright tomorrow. The Sacred heart will lift us up. The Sacred Heart will set us free. The Sacred heart holds the mystical Key. Embark on the Sacred Journey with reverence and love. Let it descend from above and give us peace. The Sacre heart’s love will never cease. 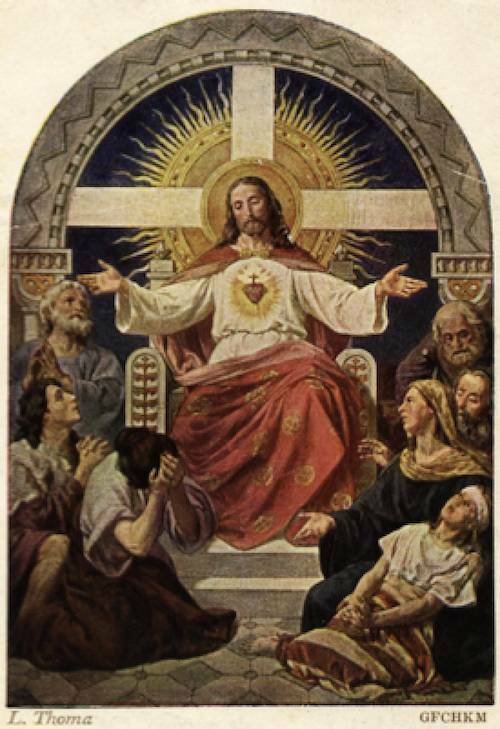 Consecrate yourself to the sacred heart. Become the obedient servant and walk in divine love. The Sacred heart is our Shield and protector. The Sacred heart is also our confessor.